TerraBot Robotic Vacuum Cleaner Neo BL11A-G, is specially designed and built with modern urban houses in mind. This model can easily covered house with built up area of 900 sqft with a single charge and do what it does best, sweeping and vacuuming. Now upgraded with micro-fiber mopping pad to remove off sticky dust. Like most of the robotic vacuum cleaners in the market, TerraBot Robotic Vacuum Cleaner Neo BL-11A does not miss out other core features like 'anti-fall sensing system' which senses stairs or drop offs, 'auto recharging' which enables terraBot return to its recharging station when low on power, it soft touch bumper help senses obstacles which enable TerraBot Robotic Vacuum Cleaner Neo BL-11A move away from it, anti-tangle safeguards which stop terraBot from munching its way through cables and scheduling feature that let TerraBot Robotic Vacuum Cleaner Neo BL-11A start cleaning even when you are not at home. TerraBot Robotic Vacuum Cleaner Neo BL-11A come with a side brush which enables it to clean along the walls and furniture. Its main brush has remarkably impressive power for its size and it has no problem lifting debris up to the size of a marble and pulling tangled hair from the ground. TerraBot Robotic Vacuum Cleaner Neo BL-11A works extremely well in picking up fine dust, breadcrumbs, rice, pet fur as well as long hairs. At the push of a button, TerraBot Robotic Vacuum Cleaner Neo BL-11A works hard and smart automatically. You can control it with the provided remote control if you prefer. You can also set TerraBot Robotic Vacuum Cleaner Neo BL-11A to work at a specific time of the day automatically even you are away from some days. 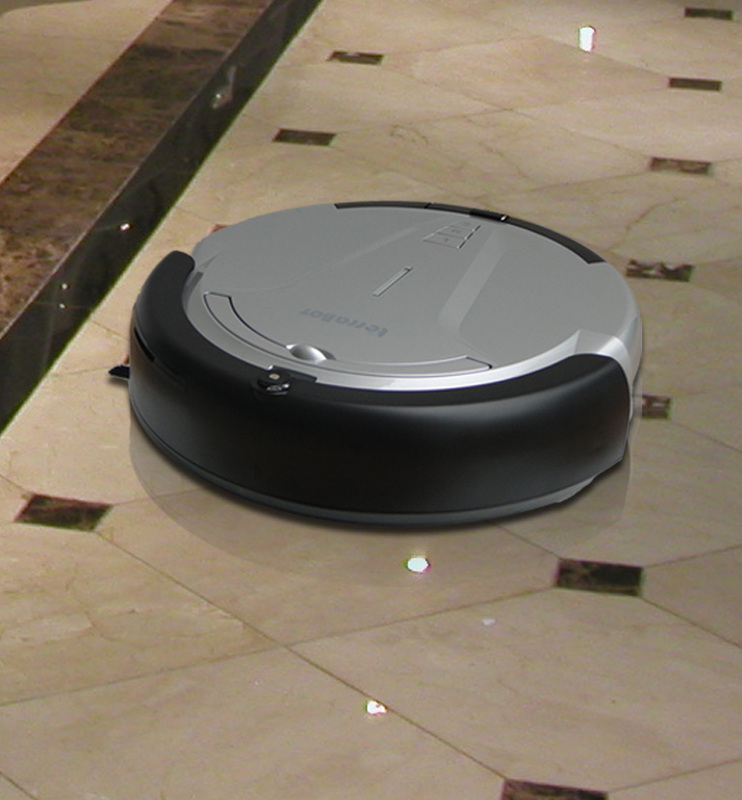 Maintaining the TerraBot Robotic Vacuum Cleaner Neo BL-11A is a breeze with the easy-to-remove dustbin and brushes. Removing a brush on a traditional vacuum can be a pain, and quite often involves a screwdriver, but with TerraBot Robotic Vacuum Cleaner Neo BL-11A, it’s all snaps and shaped parts that make it nearly impossible to mess up.